today i have napped twice. this morning i made eggs with spinach and red cabbage. this day time i have practiced kanji, grammar, vocabulary, watched an episode of Merlin, and decided that Thursday night I am going to surprise my roommate with Dominos pizza. one final tonight over the texts i have read this entire semester. ah, cumulation. one final tomorrow morning @ 10am. which means don’t wake up until 8am, right? (: right. After traveling to Pella, IA for the day, instead of coming back motivated to push the long haul into summer past the final two weeks of university, I came back exhausted. Not to say drinking Voodoo Chai in the downtown coffeeshop after sampling recreated authentic Dutch meats, imported basil&garlic cheese, and some really delectable pastries wasn’t rejuvenating. Yet, I found myself having finally lost the urge to do any more work. That’s the killer of my motivation. I know I may complain on here about my constant pushing and uphill struggle to get work done, but let me tell you. As soon as I take an unscheduled break, boom! I’m back to lazily meandering through the internets and laying on my bed wishing I had the strength to do simple tasks and workings. Oh no. ‘Tis not “burning out” necessarily, so much as I need recuperation time from my recuperation time. <<; What a life I live when I need to learn to relax from learning to relax. On that note, imagine walking into a Dutch village from 200 years ago that has been pulled from a postcard. Oddly stuck in the center of Iowa, Pella is a quaint and friendly town. The small population of 10,000 people boasts a huge economic event the last week in April/first week in May called “The Tulip Festival.” Strangely enough, The Netherlands may be known for its tulips; but its really economic strength is tourism and Shell Oil. Even so, The Pellicans (as they called themselves) adorn the town in bright tulip petals, traditional Dutch garb and wooden shoes, and offer authentic baked goods to everyone! I did not come during this time. Which explains why it was so easy to get a parking place in the center of town. The cloudy sky was still too bright for my eyes. Leaving my sunglasses behind was not the smartest idea; the long raincoat flicking in the wind behind me was. It was typical Netherlands’ spring weather: windy, offshoot clouds, but thankfully–no rain. I peered into the different sandwich shops. Each serving and catering to a different crowd of age and dynamic. Skipping the elderly crowd at a Bologna Cafe and the high school student crowd at the Brew, I meandered into a corner side venue. The Coffee and Soda Fountain knew what I wanted before I had ordered it. My tired eyes and overexerted effort to get to the counter may have tipped them off more than my appearance. Then again, going with three foreign looking men and carrying various baked good bags probably didn’t help. Voodoo Chai + 1 espresso shot, how I adore your spicy kick and smoothe aftertaste on the roof of my mouth that had been previously burnt by a creamy, rich Tomato Basil Soup @ 2:30 in the morning two days/nights/24 periods ago. Another wonderful treat to tease my taste buds and make me wish for more free samples? Basil&Garlic Gouda with Dried Beef. I know, it’s not my usual fare when I go to different ethnic locations. Don’t fret; the baked good sweets will come soon. But in all honesty, nothing tasted more savory and more palatable than that combination right there. I didn’t know Dried Beef existed (not jerky), much less that it was slow-smoked, lightly-salted, and it was JUST the flavour of the beef begging me to eat it. Small portions was just enough? AMEN! This means that everything I buy is just enough. Despite the restaurant my Professor took us to being a complete and utter flop, I thoroughly enjoyed my time talking linguistics with a Dubian (Dubai, get it? Haha….ohkay, sorry), ballroom dancing with a Dutchman, and lamenting on the bitter taste of Netherlands’ licorice with a Mexican Des Moines native. If only I had been awake for the 6 hours I spent with them, rather than the 2 after the espresso shots, then maybe they would have had a better time with me. At least I know I had a fantastic time with them! Warning this is an emergency. Evacuate the building. Warning: this is a declared state of emergency. Usually, I hear those words INSIDE of a building. However, today I did not. Instead I heard them outside walking down the Iowa City Downtown, followed by some sirens, and a lot of disgruntled people. Regardless of the situation, emergency was far from it. Huddled outside in the predicted (used loosely here) 50° F weather was no fun for these students and professors who were hauled out of their comfortably warmer offices for the bittersweet rush of cool air and a whole lot of fire trucks. Cars drove into the shouldn’t be a two way street hoping to squeeze by. Ha! Dozens of vehicles began to clog the already too narrow street and what was everyone doing? 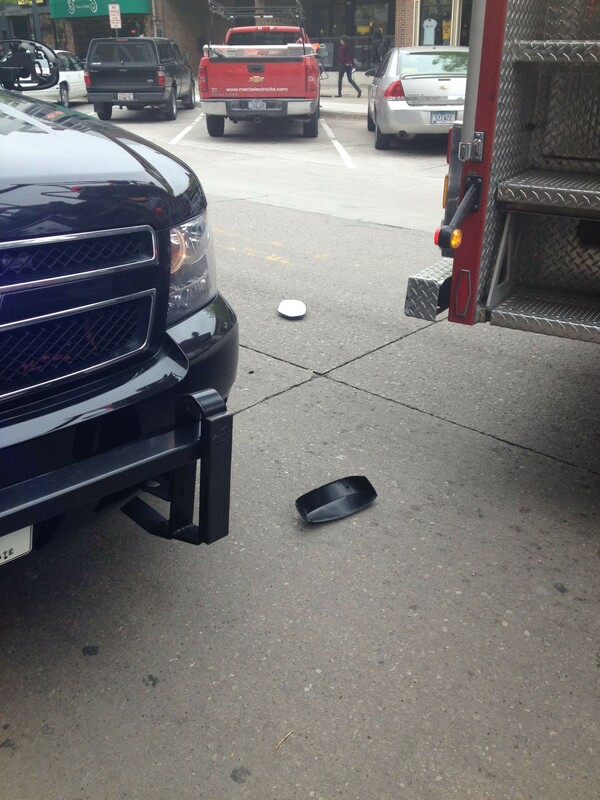 Well, what normal people do in emergencies. Take photographs. I myself took quite a few to commorate this event. Making my way into this crowd of people, I found an old professor of mine. What’s going on? I questioned, hoping for some juicy tidbit of an exploded toaster or a microwave bag of popcorn set just a little too long. No. Just an unknown cry of a faulty alarm that may or may not have said Iowan Springs shouldn’t be cold enough to make the boiler overheat. 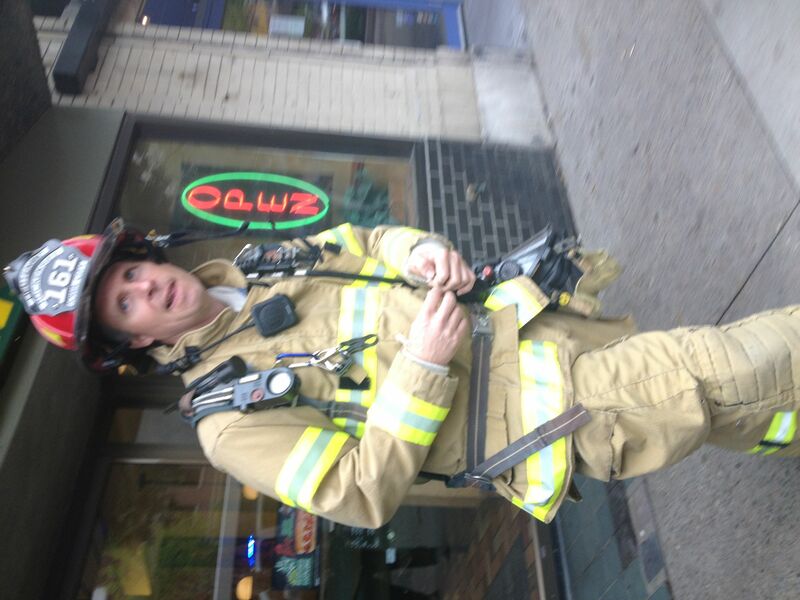 It may not have been worth my time if the fire truck–bless him–hadn’t at that moment made the entire thing worthwhile. Inching his way a little bit up to see if he could let one car escape the fray, his right back corner completely tore off the left side mirror of the SUV Police Car. As if the SUV Police Car didn’t have enough trouble in Iowa City’s vibrantly anti-gasoline, pro-environment culture driving around and parking in downtown IC. Yes, I did burst into fits of laughter. Yes, I did take pictures. and Yes, I am one of those people that thinks emergency alerts are the funniest things to happen after you’ve gotten 40% off Iced Coffee [because that’s all your mouth wants], discounted apples [because fortune would have that you walk in when they’re mispriced], and still somehow heard the emergency voice over the numerous sirens. Ah, yes, for a day that had nothing productive attributed to it because I just didn’t want to do any of it. It sure has been one incredibly packed day. All semester I have been tirelessly working. From university classes to summer convention planning and now to the reveal of this! (Adobe work), I haven’t been running around as crazy as I could have been. Then again, I’m probably overworking myself as usual. Regardless, I love every single minute of it. the faces of Adobe just keep getting brighter. As a university student by profession and designer by hobby, my monthly budget is usually filled with textbooks, groceries, and other student expenses. Even with the fantastic deals corporations like Adobe offer students for their products, I’m left to wonder what makes the newest editions of their products any better from the older editions. I know I could purchase older editions off the Internet. If I wanted to make sure I had the latest updates, I could share with friends or use the University’s computers. Why should university design students bother including the expense for the latest design software? As this multi-media designer will tell you, there is nothing more convenient than owning your own software. University computer labs are not open twenty-four seven—neither is your friend’s basement apartment. For us Northerners, trying to battle a blizzard just to use Photoshop or Illustrator is both silly and potentially skin damaging. Frostbite doesn’t look attractive on anyone’s nose, ears, or cheeks. Having our own copies is essential to our life’s work, even if during school it remains a hobby. After sitting on multiple conference calls outlining Adobe Creative Suite 6, I can barely contain my excitement for this product! Professional and student designers will be squirming in their seats to get their copy. However, I can guarantee the Adobe production team is doing everything in their power to make them try. Past Adobe editions haven’t changed that much from their predecessors. A few bugs and glitches were fixed, but other than that the products worked pretty much the same: computer bound applications with little flexibility outside other Adobe products. Adobe Creative Suite 6 is the complete repurposing and re-marketing of Adobe products. Expanding the playing field for professionals, teachers, and students alike, Adobe is finally creating a market for every interest in the social media world. 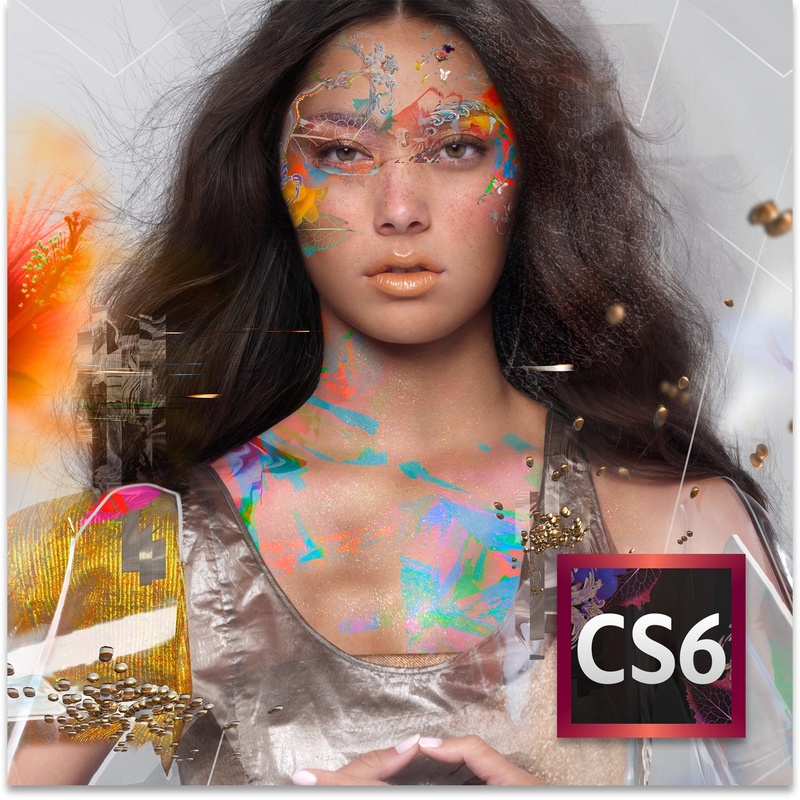 Industries once thought separate from the Adobe market are being brought into many aspects of Adobe CS6. Even the layman designer could easily market themselves in multimedia industries with a more understanding User Interface that is carried across the new Adobe CS6 line. In this technology-driven world, design software and computer skills (or lack thereof) can make (or break) a graduate’s resume. The college student audience needs to get on board, despite Adobe’s wide professional audience. How can we expect to be competitive in the professional world when we aren’t familiar with the technology in our school years? We cannot skimp out on ourselves simply to save a couple hundred dollars. In the long run, that could be another thousand in the bank. It’s not just me that’s taken notice. Since Photoshop CS6 was released as a public beta on March 22nd, 2012 for Mac OS and Microsoft® Windows® platforms, there have been nearly one million downloads of the software worldwide – surpassing any public beta in Adobe’s history. With its increased performance of editing in real time and a new Content Aware Patch feature, Photoshop CS6 has raised the bar for photo editing software. Having been through the complete beta testing stage of CS6, I can guarantee Adobe’s claims of streamlined content and performance throughout the software. Before CS6, Adobe tended to look unfriendly to the average consumer. Yes, it was powerful. Yes, it would help. But was it worth the hours it took to learn the product? That was highly debated. Not anymore. Adobe CS6 has carried over their Photoshop interface to include multiple easy to access icons to help the casual user begin to use their products right away. 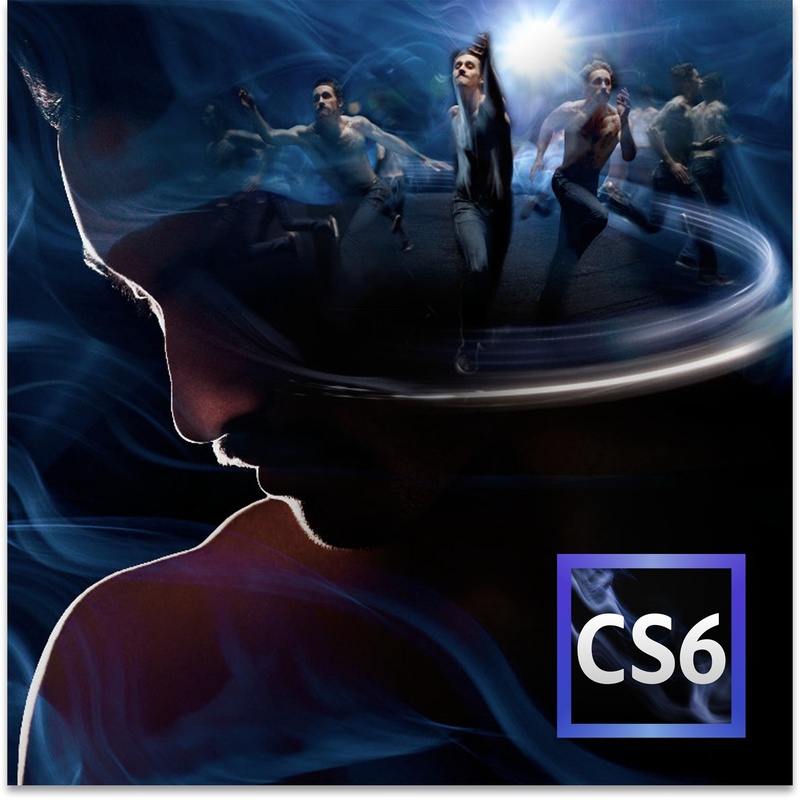 The CS6 interface is beautiful, streamlined through all their products, and softens the once overtly professional tone. Adobe Creative Suite isn’t just a feature upgrade; it’s an experience upgrade. With Creative Cloud technology, students can take their projects with them. From the dorm room to the classroom, Adobe isn’t confined to a high-performance desktop machine anymore. It can sit on your lap in the park. It can workout with you as you cycle. It can even help you study—procrastinate—during the upcoming finals week. 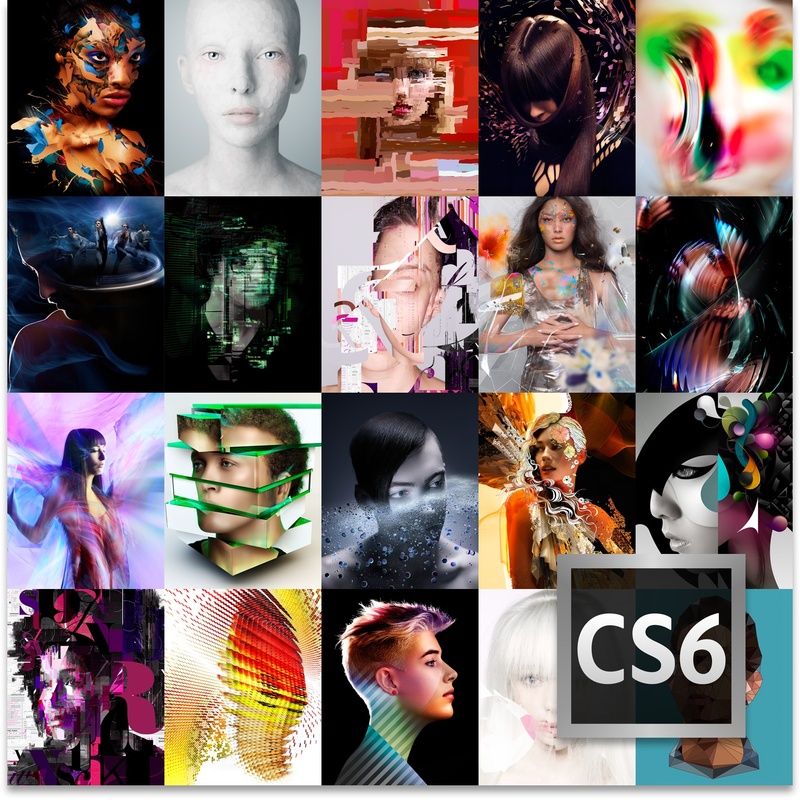 With what ever it is going to do for you, it’s strong artistic and business capabilities make Adobe CS6 something for even the non-design majors to get excited about. Get Excited. Get Noticed. Start Saving Up. Adobe’s pushing the limits of the design and technological world; and You will be too. knowing that you have time to finish everything when your days aren’t limited to the whole “wake up” and then “go to sleep” mantra. just working through it regardless of the time and absent from it, rather then bound to it is wonderful! even better is saying, okay, I have class at 12:30 and a meeting @ 4 and then class @ 5, but other than that I’m free to do whatever is really incredible. if I also just say the first thing I do when I wake up is work out (even if I go sleep after that) then it’s even better. because really, i love working out early in the morning as soon as I wake up. so yes, i’ll be getting up around 5:30 I think to go workout for an hour every day, and then i’ll come back, make breakfast, or i’ll stay out and eat breakfast depending on my mood. and every day will overall be fantastic because i can sleep, eat, and do work whenever I bloody feel like it. …which isn’t so much scary as it is startling. I’m not a morning person, or rather, I was not much of a morning person. Yet, I find myself drawn to waking up and then just getting stuff done. On the plus side, it leaves me with a lovely little interval of about 30min to do with what I please when I don’t work out; and when I do work out, I have just enough time to do everything. pues en la vista retrospectiva, miro bueno por mi fortuna en mi vida y en mi escuela y en mi lingüistica y en mi jápones. pero, todos los días trabajo mucho que mi academica, sin embargo, me gusta la vida universidad y no será que cualquie otra manera. Now, I just have to make sure I actually memorize this little piece of dialogue and I should be fine. Hey, wait, look at that! I’m actually typing about doing the Japanese work, rather than just talking about doing it. I think this is an accomplishment.